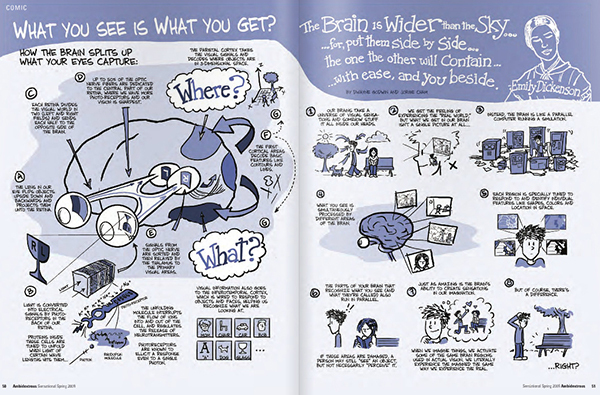 Dwayne Godwin (@BrainyActs) a professor of Neurobiology and Anatomy at Wake Forest University posted this fun comic on how visual systems work. It is one of many, really excellent comics he publishes on the nervous system. See more on his Tumbler page here.